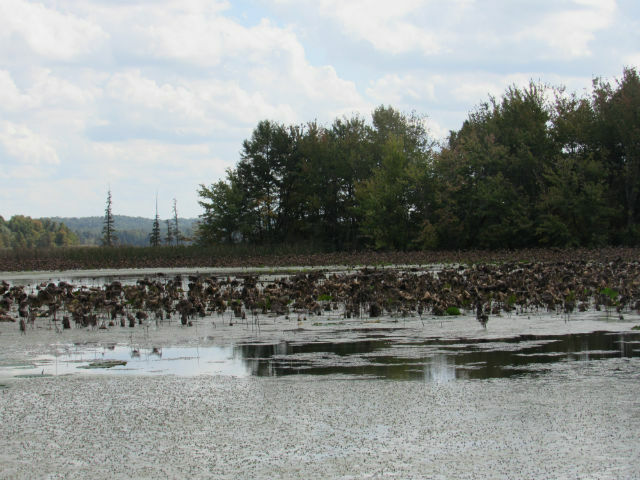 While visiting a lake in southern Illinois, I noticed a pair of these water birds that I have occasionally seen in my home state of Ohio. This is the most widespread grebe in the New World, and the most familiar in temperate parts of North America. 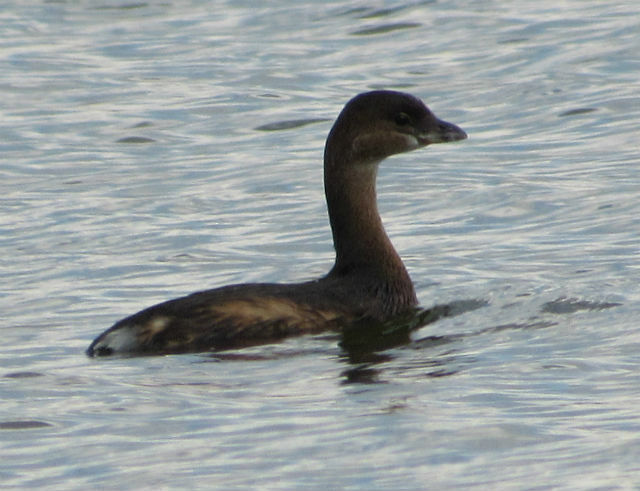 Pied-billed grebes are small, stocky, and short-necked. 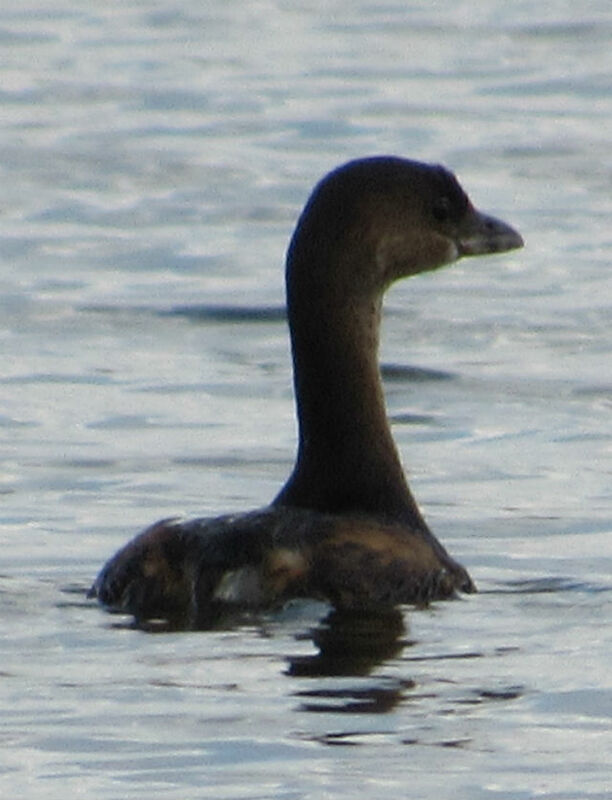 Although it swims like a duck, the Pied-billed Grebe does not have webbed feet. Instead, each toe has lobes extending out on the sides that provide extra surface area for paddling. When disturbed or suspicious, it may sink slowly until only head is above water. This bird is rarely seen in flight. It prefers to escape predators by diving and it migrates at night. 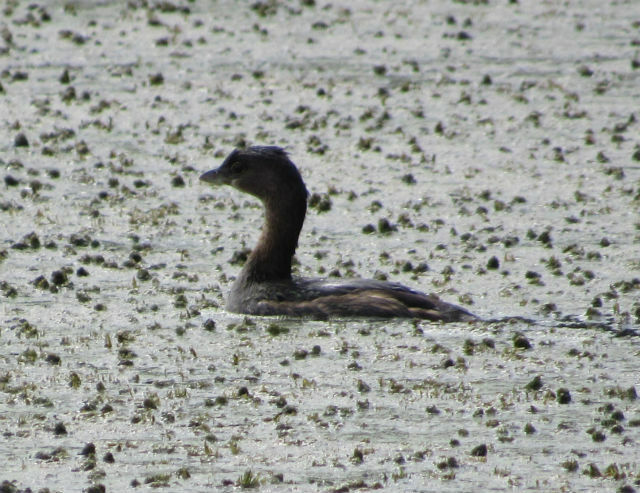 The Pied-billed Grebe emits a series of hollow cuckoo-like notes “cow-cow-cow-cow, cow, cow, cowp, cowp, cowp,” that slows down at the end. They are often heard before they are seen. 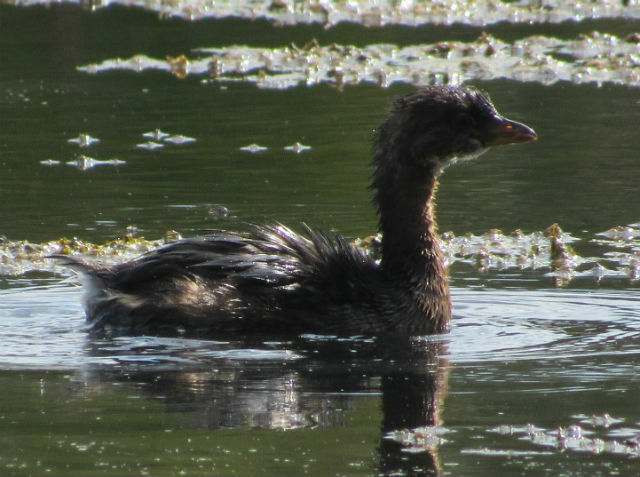 This bird is also known as the American Dabchick, Carolina Grebe, Devil-diver, Dive-dapper, Dipper, Hell-diver and Water Witch. 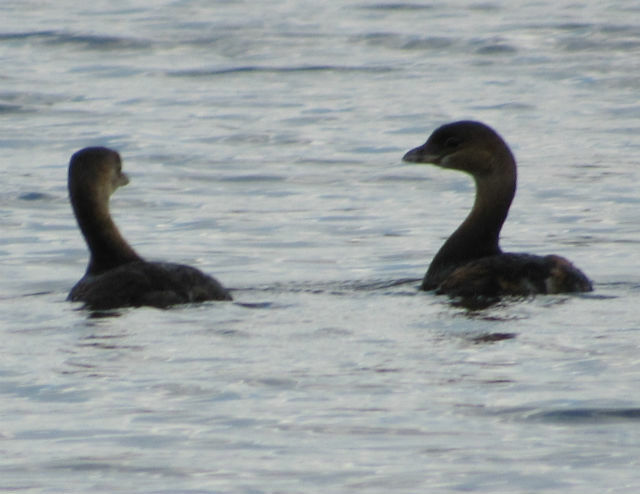 This entry was posted in Birds - Waterfowl and tagged Pied-billed Grebe by tspuckler. Bookmark the permalink.